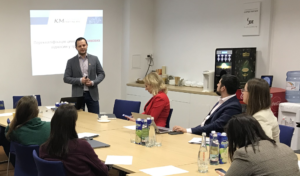 EBA IT LEGAL TALK concerning IT-company strategic legal planning related to business expansion to foreign countries was held on December 11, 2018. Alexander Shemiatkin, Partner at , and Yaroslava Ivasiuk, Senior of Counsel, delivered a speech on options for improving the taxation of IT companies and prospects under introduction of Exit Capital Tax. 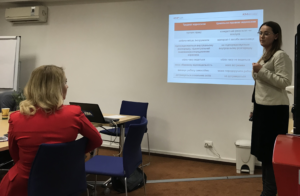 Yaroslava Ivasiuk brought up a topical issue on audits regarding business relations under civil law contracts, which are conducted by the State Service of Ukraine for Labor. The public was highly interested in the issue of criteria for differentiation of civil law and labor relations, that was also covered in the speech. Yaroslava provided the audience with several practical advice for avoidance of risks in relations with individual entrepreneurs and informed on the recent court practice. The presentation of the speech is available by the link.